At the 33rd Space Symposium in Colorado Springs, Gwynne Shotwell made clear her belief that anyone who continues to doubt SpaceX after last week’s success was being foolish. “I hope you’re all thinking about your tickets to Mars,” the president of SpaceX told attendees on Wednesday. 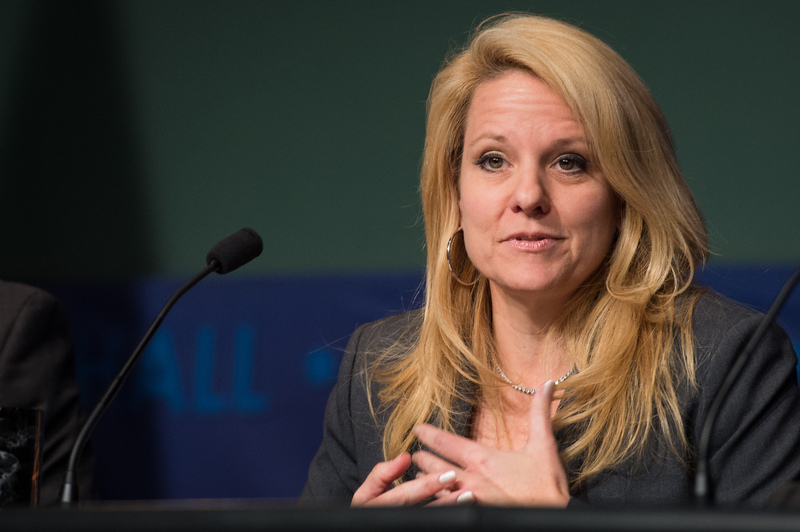 Shotwell and her company are coming off an incredible bout of goodwill, after the company successfully launched and landed a previously flown Falcon 9 first stage booster — effectively proving the viability of using reusable rockets for spaceflight. “[Reusability is] really a tremendous capability, and I highly recommend it for all of you,” she went on to say. SpaceX’s large vision is to facilitate a sustainable and affordable transportation system to Mars by using reusable architecture in order to drive costs way down. Now, it may be a bit premature to effectively tie last week’s success with the future journey to Mars, but Shotwell’s point is that the future of making it possible for people to travel to Mars en masse is tied heavily to lowering costs. “Cost of refurbishment [for the Falcon 9] was substantially less than half of the rebuild,” she said. The larger aim is to get the reused Falcon 9 rockets to be merely a tenth of the cost of building an entirely new rocket. Of course, much larger rockets are going to be used to take people to Mars. SpaceX CEO Elon Musk wants to get the cost of traveling to Mars down to about $200,000 per person. Effectively, you might trade in your home for a new life on the red planet. The other key SpaceX goal Shotwell hit on was the hope to be able to launch, land, and relaunch a Falcon 9 rocket within a 24-hour window. Shotwell had previously expressed the company wants to operate like a modern-day commercial airline, in which planes continuously fly passengers over and over with only the most minimum wait times.